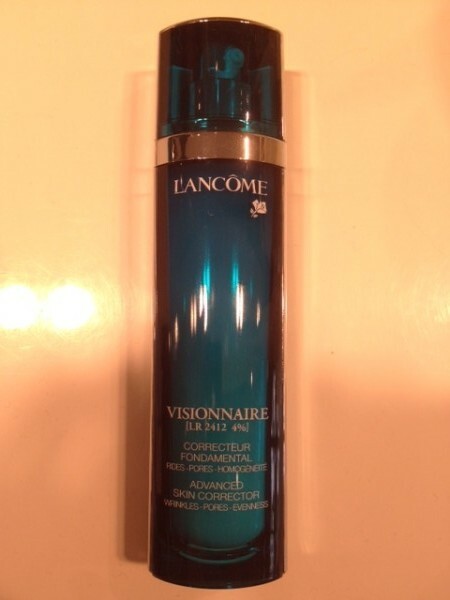 The Lancôme Visionnaire LR 2412 4% Advanced Skin Corrector, in French; “Correcteur Fondamental”, sounds impressive, but what does it do? I don’t want to bore you with the clinical studies Lancôme did, neither I will discuss the ingredient “LR 2412” because the discussion would be endless. However, I will tell you something about the concentration of alcohol in the product and why (in this case) isn’t bad for your skin. Enough with the boring stuff, how did it feel and did it work? Lancôme should give me money and 10 year of free supply, because 12 women I personally know bought it because of me (and counting). Only one didn’t like the serum. The silky texture of the product just feels great. Wrinkles are less visible after using it for at least a month. I only use it ones a week. It’s really not necessary to use it every day. Sometime less is really more. Finally the price; $ 109 for 1.7 fl. oz. / 50 ml. It would be great if they priced it around $ 50 or so. Note: Please don’t order the product straight away online after you read this review, go out and test it yourself. The good thing about Lancôme is you can find it almost any big mall. Just test some on your face and/or ask for a tester. This way you can make sure if it works for you as well as it did for us! Feel free to write a comment! It’s very expensive but it works on my skin! Completely agree with Angela!